On Sept. 8, 2016, NASA and Arizona State University embarked on a new space mission, OSIRIS-REx. 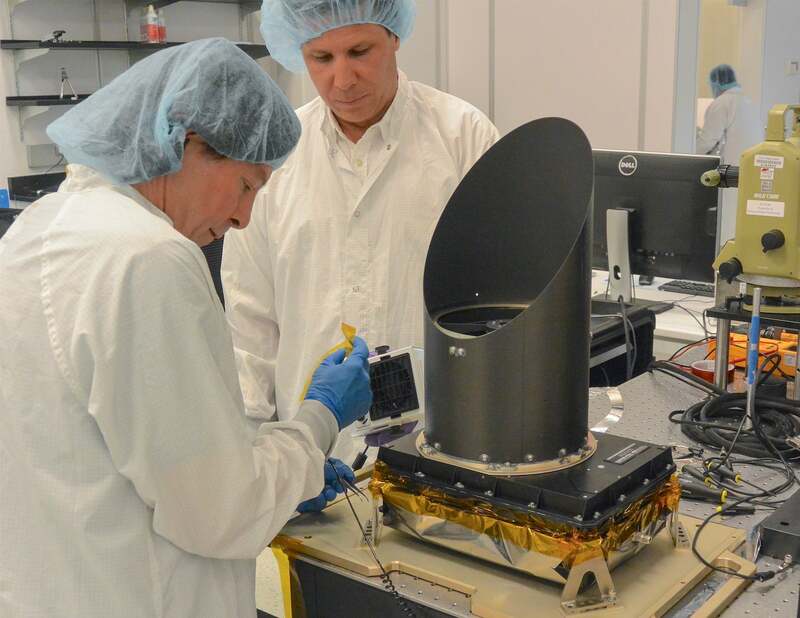 Now on its way to a rendezvous with the near-Earth asteroid Bennu, the spacecraft carries a number of important scientific instruments, including OTES, the OSIRIS-REx Thermal Emission Spectrometer. “Project Asteroid: Mapping Bennu” is a 30-minute program that documents the construction of OTES, the first space instrument to be built entirely on the ASU campus. It airs on Arizona PBS (channel 8.1) on Feb. 24 at 7:30 p.m. The program, in the making since 2012, takes viewers behind the scenes as it follows the efforts of a team of engineers and scientists led by the School of Earth and Space Exploration's Philip Christensen. A Regents' Professor of geological sciences, Christensen is the designer and principal investigator for OTES, which was "born" in the laboratories, workshops, and cleanroom of SESE's home, Interdisciplinary Science and Technology Building 4 on the Tempe campus. Christensen and his colleagues are no strangers to space exploration, having played a critical role in mapping the surface of Mars. To build OTES, he reassembled key members of his Mars team and added new members as well, including several outstanding ASU students. “Project Asteroid: Mapping Bennu” follows the OTES team as they count down to the mission launch date. The program also profiles selected team members, who give their personal perspectives of the challenges and rewards of this high-stakes undertaking.